Dimensions: 60 Inches Square, 30 inches High. 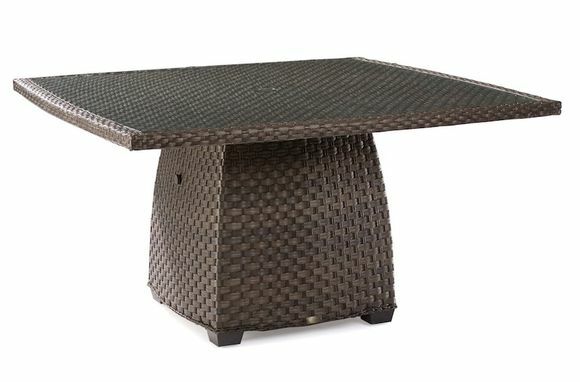 This outdoor wicker dining table features an inset aluminum top and accommodates up to 8 people. 60 Inches Square, 30 inches High.